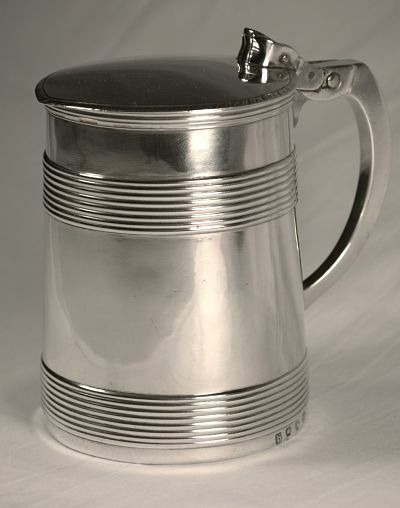 of tapering cylindrical form, with two applied reeded bands, the hinged cover with feathered edge and an angular handle. The pin attaching the top of the handle is possibly a replacement. 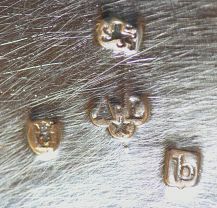 There is a full set of clear hallmarks to the rim of the base and there is also a full set inside the lid. 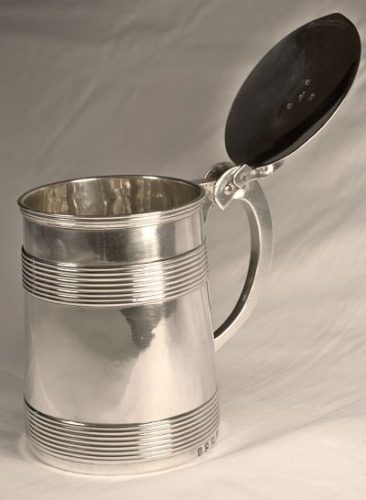 A magnificent piece by an important silversmith.